Grandmasters Darwin Laylo and Rogelio “Joey” Antonio are leading in the fifth Battle of Grandmasters at the Paraw Club in Boracay. Laylo, who caught up with Antonio after beating International Master Oliver Dimakiling in the third round, settled for a draw with National Master Giovanni Mejia while Antonio drew with GM Rogelio Barcenilla. The two Chess Olympiad veterans were at 6.0 points under the scoring system giving two points for a win, one point for a draw and zero for a loss. 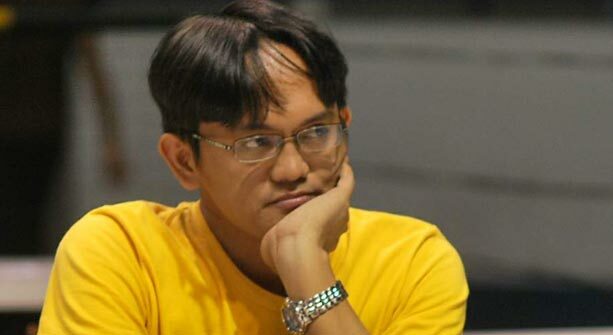 Trailing them at 5.0 points were GM Mark Paragua, former co-leaders GM Roland Salvador and Fide Master Randy Segarra and Asia’s first GM Eugene Torre, who held GM John Paul Gomez to a draw in the fourth round. Paragua beat Mejia and IM Emmanuel Senador, respectively. Salvador and Segarra suffered setbacks in the fourth round against Dimakiling and GM Julio Catalino Sadorra, respectively, who climbed to 4.5 points. The United States-based Sadorra earlier was forced to a stalemate by Barcenilla in the third round to settle for 1.5 points. Barcenilla got 0.5 point and with his draw against Antonio improved to 4.0 points in the company of the top-seeded Barbosa and Gomez.